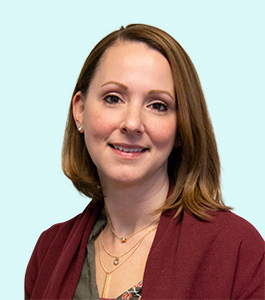 Jamie is a Licensed Professional Counselor (LPC) who graduated from University of Wisconsin- ­Milwaukee with a Masters Degree in Educational Psychology with a focus in Community Counseling. She has experience working with diverse populations including children, adolescents and adults. She embraces a strength based Cognitive Behavioral Therapeutic approach to help clients with a variety of issues or concerns including depression, anxiety, trauma, and adjustments or changes. Jamie believes it is important for the client to be an active participant in their treatment and that the client’s goals should direct their therapy. She feels it is important to educate her clients on the therapeutic process so that they can be better informed on their healing journey. She enjoys identifying the strengths her clients already possess and helping them learn to draw out and build upon those strengths to achieve their goals and to live a happier and healthier life.